DO NOT TAKE THE MARK! The mark of the beast, which will be inserted into the right hand or forehead to give licence to buy or sell, is a chip of electronic information. The reason why we know this is quite simple. World Government advocates, have long desired to implement a control system by which people could be tracked, and money could be controlled at the touch of a button. Specialized electronic chips have already been produced for this exact purpose and are being implanted even as I write. 1). The ‘VeriChip’ is the Very Chip we have been Warned about in God’s Holy Word that will herald the rise of Antichrist. 2). The ‘DigitalAngel’ is the very Angel of Light that will deceive to damnation all who receive the Mark. 2 Corinthians: 11 v 14: And no marvel; for Satan himself is transformed into an angel of light. 3). The ‘ThermoLife’ means ‘forever in the Lake of Fire’. The Verichip Corporation has since merged (2009) to become ‘PositiveID’ (but be aware that they are good at covering their tracks). On their original internet webpage titled ‘Applied Digital’ ‘VeriChip Corporation’ had the slogan stating: ‘The ChipMobile is on the Move! Watch for the Chip Mobile coming to your town!’ - shown together with a customized transportation vehicle carrying equipment for chip insertion. The Judgment of God for receiving the mark of the beast is eternal damnation. Revelation: 14 v 9-11: And the third angel followed them, saying with a loud voice, If any man worship the beast and his image, and receive his mark in his forehead, or in his hand, The same shall drink of the wine of the wrath of God, which is poured out without mixture into the cup of his indignation; and he shall be tormented with fire and brimstone in the presence of the holy angels, and in the presence of the Lamb: And the smoke of their torment ascendeth up for ever and ever: and they have no rest day nor night, who worship the beast and his image, and whosoever receiveth the mark of his name. Note Matthew 5 v 30: ‘And if thy right hand offend thee, cut it off, and cast it from thee: for it is profitable for thee that one of thy members should perish, and not that thy whole body should be cast into hell. 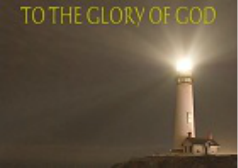 Read the Whole book "To the Glory of God" for free here. A new page pdf document will open.